This was a rather relaxing day. 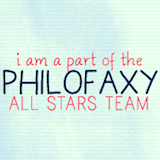 We did all kinds of things today. We started out with breakfast and WiFi at a local coffee shop, followed by a hair appointment for me for highlights and then a doctor’s appointment. Services are much cheaper in South Africa and the South African rand is weak, so I generally visit the doctor and dentist, have my hair done, and have a facial or two when I am there. South Africa is a tipping country because people often have low salaries, so I make sure to tip as much as I can when I am there. The woman who washes my hair at the salon has been doing it since 1976! I have a family doctor too, that I just love going to see for a full medical checkup. He was happy to see that I have exactly the same (good) height, weight, blood pressure, cholesterol and sugar values as I did seven years ago. In Stockholm the medical care is excellent and cheap but you see a different doctor every time you go, or else you wait for months. There is something special about making an appointment for the same day, with someone who has known you for decades. After that we took a drive around town, visited the 1820 Settler Monument, which is a monument to the English language in South Africa. 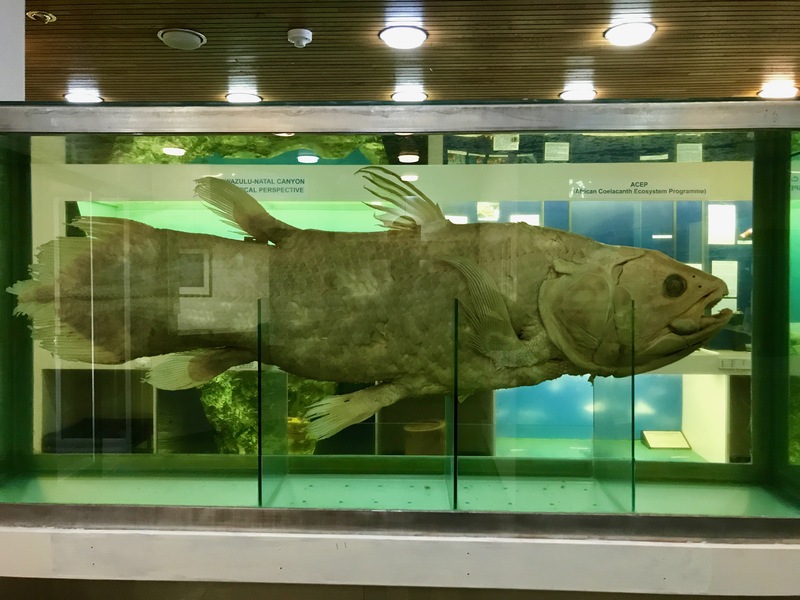 Then we went off to the local institute for aquatic diversity where we looked at the Coelacanth. 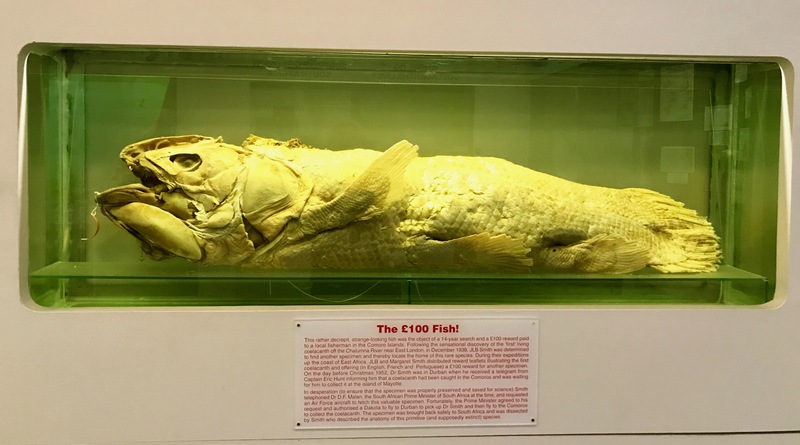 The coelacanth was thought to become extinct with the dinosaurs about 65 million years ago, until one was discovered in 1938 East London, South Africa. 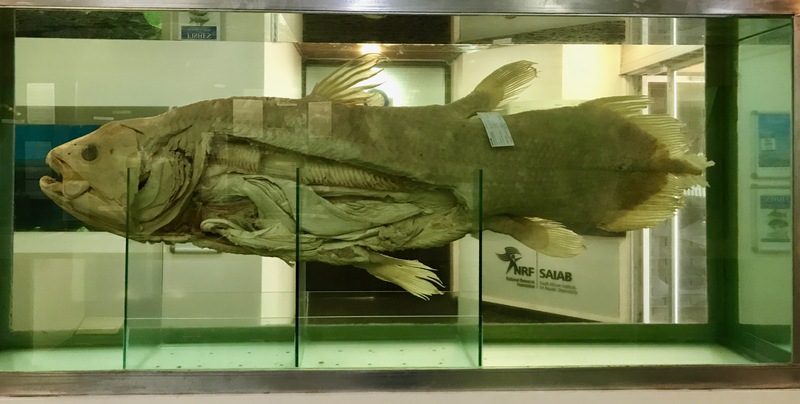 The coelacanths are the most endangered order of animals in the world. 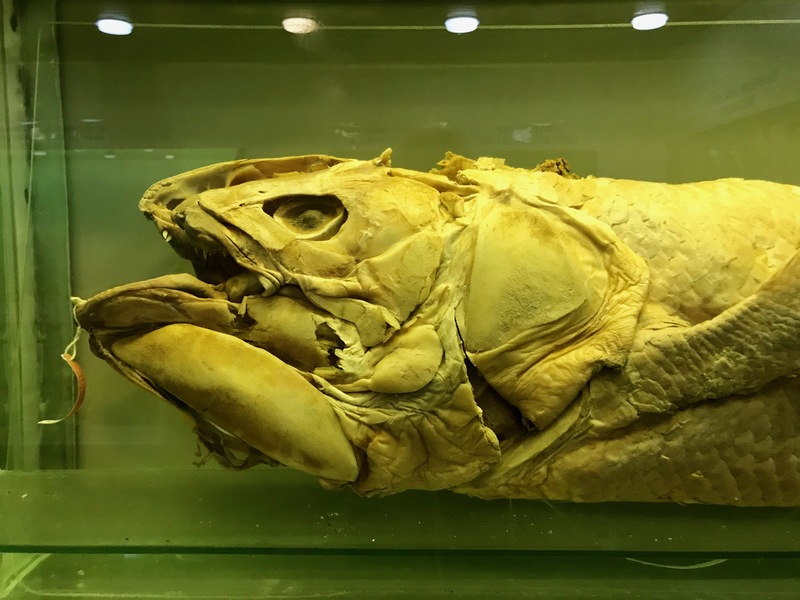 They have four leg-like appendages that move like a land animal as they swim, and they were long believed to have been the transitional link between fish and land animals. They give birth to live young. 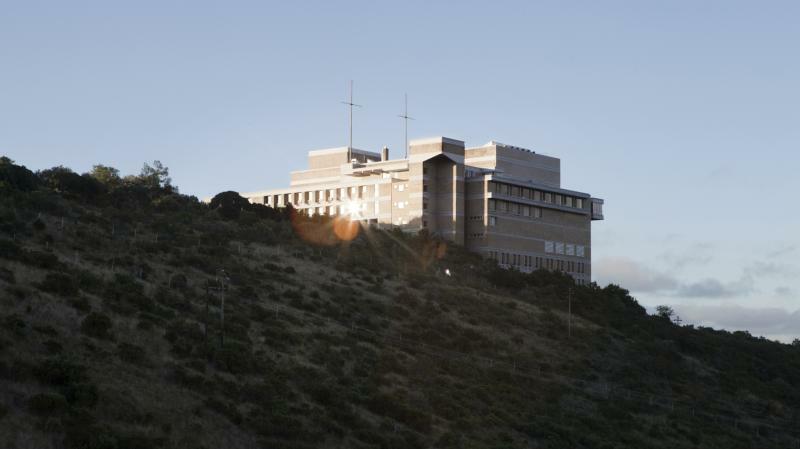 There are two of them in an educational museum at the South African Institute for Aquatic Biodiversity in Grahamstown. 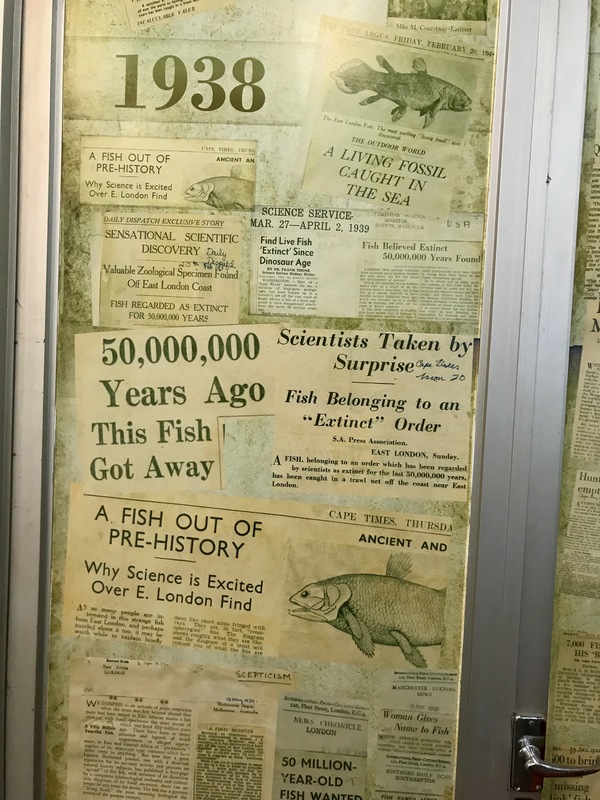 This Institute was formerly known as the JLB Smith Institute of Ichthyology, in honour of the man who identified the coelacanth. 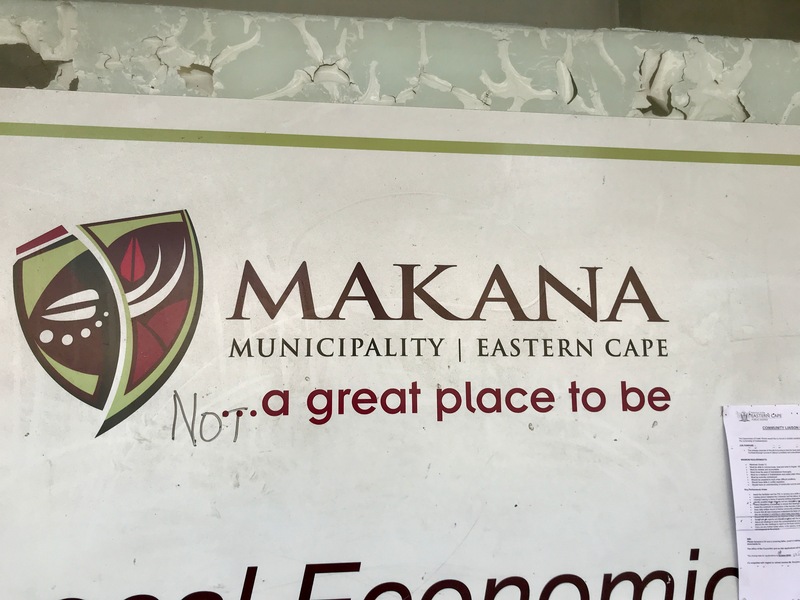 The municipality of Makana (Grahamstown – now called Makhanda) is bankrupt, and as a result is in administration. The town is a bit shabby so I was amused by these signs. 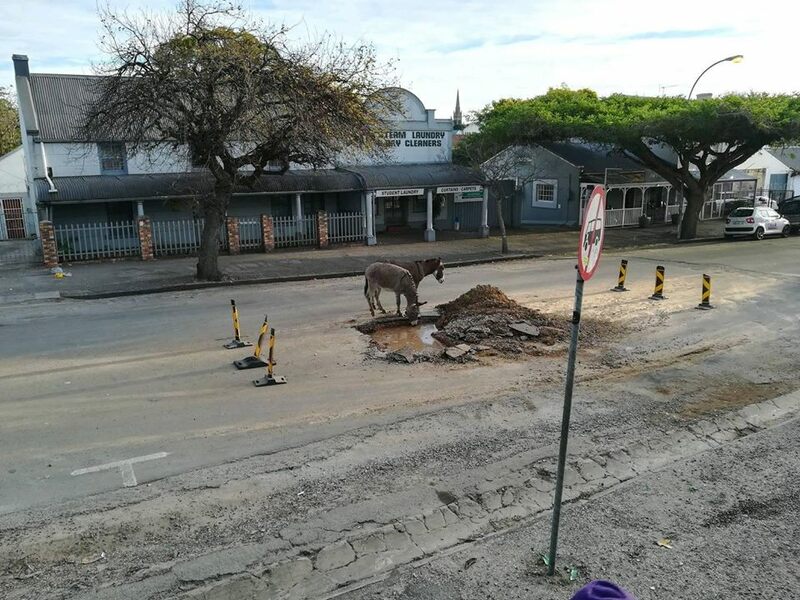 and this photo on a local Facebook page, of donkeys drinking out of a pothole in one of the main streets. We then went out for a lovely meal with my whole Grahamstown family, which was wonderful. 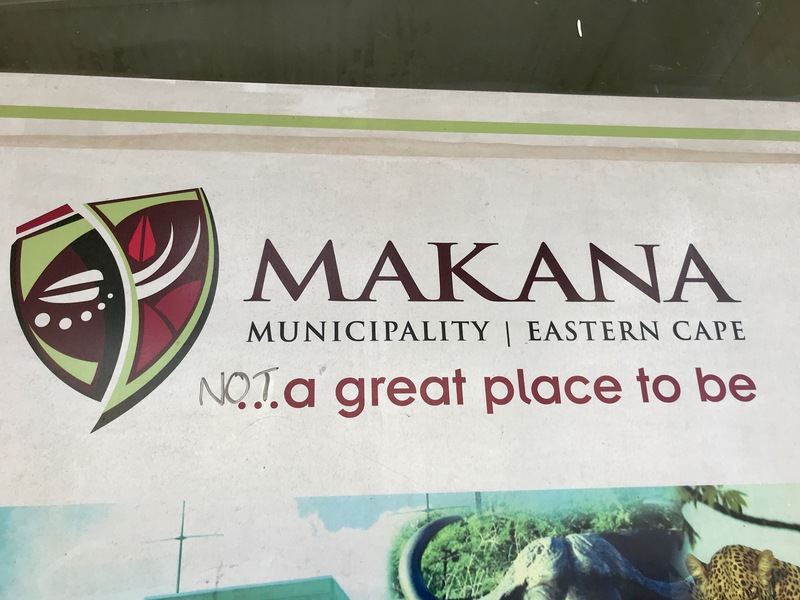 I am glad you had a good time in our little Grahamstown.